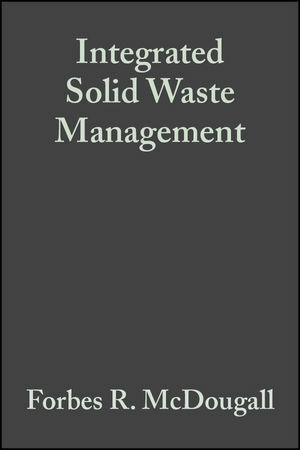 By combining integrated solid waste management with the traditional coverage of landfills, this new edition offers the first comprehensive guide to managing the entire solid waste cycle, from collection, to recycling, to eventual disposal. * Includes new material on source reduction, recycling, composting, contamination soil remediation, incineration, and medical waste management. 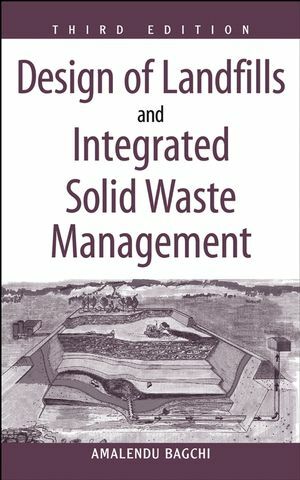 * Presents up-to-date chapters on bioreactor landfills, wetland mitigation, and landfill remediation. * Offers comprehensive coverage of the role of geotechnical engineering in a wide variety of environmental issues. AMALENDU BAGCHI is a senior engineer with the Wisconsin Department of Natural Resources, where he is involved in various solid waste management-related initiatives, including landfill design. PART I: INTEGRATED SOLID WASTE MANAGEMENT. 1.1 Basic Concepts of an Integrated Solid Waste Management Program. 1.2 Scope and Organization of Book. 2 Integrated Solid Waste Management. 2.4 Public Promotion of ISWM. 2.5 Collection and Transportation of Waste. 3.1 Role of Governmental Bodies. 4.1 Definition of Infectious Waste. 4.2 Source Separation and Management. 4.7 Collection of Infectious Waste Generated from Homes. 5.5 Incineration of Various Nonhazardous Waste Types. 5.6 Site Selection, Installation, and Financing. 6.2 Influence of Various Parameters on Composting. 7.3 Information on Recyclable Materials Recovered from Municipal Solid Waste. 7.5 Refuse-Derived Fuel Processing Plants. 7.6 Quality Control and Data Collection. 8 Reuse of Industrial By-Products. 8.1 Comments on Engineering Characteristics and Testing Protocols. 8.2 Reuse of Industrial By-Products in Civil Engineering Projects. 9.2 Factors Affecting Remedial Processes. 9.6 In Situ Remediation Methods. 9.7 Ex Situ Remediation Methods. 9.10 Comments on Remediation Method Selection. 10 Redevelopment of Contaminated Land. 10.2 Risk-Based Corrective Action for Redevelopment of Contaminated Land. 11.1 Comments on Regulatory Requirements. 11.2 Scope and Organization of Part II. 12.3 Preliminary Assessment of Public Reactions. 12.4 Development of a List of Potential Sites. 12.6 Preparation of Feasibility Report. 13 Leachate and Gas Generation. 13.1 Factors That Influence Leachate Quality. 13.2 Factors That Influence Leachate Quantity. 13.3 Assessing Probable Quality of Leachate. 13.4 Estimation of Leachate Quantity. 13.5 Typical Leachate Quality of Various Nonhazardous Wastes. 14.1 General Guidelines for Waste Characterization. 14.2 Identification of Hazardous Waste. 14.3 Restriction on Land Disposal of Hazardous Waste. 14.4 Identification of Nonhazardous Waste. 15.3 Effects of Various Factors of Attenuation Mechanisms. 15.4 Attenuation Mechanisms of Specific Pollutants. 16.2 Double- or Multiple-Lined Landfills. 16.3 Liner Material Selection Criteria. 16.4 Comments on Liner Thickness. 16.5 Comments on Final Cover Design. 16.7 Comments on Designing the Landfill Base below the Groundwater Table. 16.8 Check for Liner Blowout. 16.9 Natural Attenuation versus Containment Landfill. 17.2 Potential Advantages of Bioreactor Landfills. 17.5 Potential Obstacles to Bioreactor Landfill Development. 18.4 Amended Soil and Other Admixtures. 19 Design of Landfill Elements. 19.6 Comments on Seismic Design of Landfills. 19.9 Gas Venting System Design. 19.10 Converting Existing Natural Attenuation Landfills to Containment Landfills. 20.4 Sand Drainage Blanket Construction. 20.5 Leachate Collection Trench Construction. 20.6 Double- or Multiple-Liner Construction. 20.7 Groundwater Dewatering System Construction. 20.10 Material Procurement, Construction Scheduling, and So On. 20.11 Erosion Control during Landfill Construction. 21.2 Developing a Priority List. 21.3 Selection of Remedial Methods and Related Issues. 22.2 Monitoring Head in the Groundwater Dewatering System. 22.7 Final Cover Stability Monitoring. 23.1 Equipment Used for Compaction. 23.4 Co-disposal of Nonhazardous Sludge in Municipal Landfills. 23.9 Leachate Collection System Maintenance. 23.11 Comments on Enforcement-Related Issues. 24.2 Wetland Determination and Delineation. 24.3 Wetland Functions and Values. 24.5 Wetland Restoration and Creation. 25.1 Sources of Occupational Health Hazards. 25.3 Elements of a Health and Safety Program. 26.2 Estimate for Proof of Financial Responsibility. APPENDIX: CONVERSION OF U.S. CUSTOMARY UNITS TO INTERNATIONAL SYSTEM OF UNITS (SI).